Q - When can I ride the track? A - Every day! The track is open to the public from sunrise to sunset every day. Anyone can come ride, just as it is any other feature in a public park, free of charge. We are closed to public riding during sanctioned events listed in the schedule section of this website. Q - Do I need a BMX bike to ride or special equipment? A - For public riding, any bike will do. We strongly suggest helmet, long pants and long sleeve shirt but during public access it is ride at your own risk so there is no mandated requirements. For sanctioned events, a BMX bike is recommended but not required as long as the bike is safe, not motorized, and does not have any protruding parts. We also mandate helmet, long pants and long sleeve shirts during sanctioned events. Q – Who can race? A – Anyone. And we mean anyone. If you can ride a bike you can race one. Boys, girls, men and women all race BMX. From 5 and under to 61 Over there is age classes for everyone! And races are made by age and skill level so you are racing others around your age and skill level. Q – How do I get started racing BMX? A – First thing to do is come to the track. Bring your bike if you have one, and a helmet too. If you don’t have either or don’t feel the ones you have are appropriate, we have loaner bikes and helmets for you to borrow free of charge during sanctioned events. Wear long pants (jeans are great), a long sleeve shirt and closed toe shoes and you are ready to hit the track. Q – Ok, I have been to the track and really liked riding around it (who wouldn’t!! ), how do I actually get started racing? A – We race every Sunday (12-1:30 racing starting at 2PM), and have practice every Thursday (5PM – Dusk). Racing is $10 for licensed riders (license is $60 for a full year), and practice is $4. During both these events riders need a bike, helmet (we HIGHLY recommend a full face helmet but any helmet will do), long pants and a long sleeve shirt. We have loaner bikes and helmets that are free to borrow if you need. Anyone can race (boys/girls young and old), so the best thing to do is show up and we can help you with the rest!! Q – Does the rider need to practice before they are allowed to race? A – While it is a really good way to get started by attending a practice session or two first, there is no such requirement. BMX Racing is an “at will” sport, so riders can complete as frequent or infrequent as they like. There is no skills assessment or other such requirement to be cleared to race, with the exception that we do expect that all riders can successfully ride a full lap with no assistance. Q – Is there instruction available? A – We have clinics every Tuesday starting in April. Those clinics are basically broken into two groups (beginner and advanced). The beginner group focus on basic BMX racing skills while the advanced group works on next level skills and training techniques. Clinics are generally $5 per week and the topics covered vary week to week. Q – Ok, I tried riding the track and even went to a practice or race and really like it but I need a more appropriate racing bike, where can I find one? A – Great question, while there are not many, if any at all, stores in the greater Richmond area that carry BMX Racing specific bikes we have LOTS of other options. 1 – We at Richmond BMX carry a wide range of loaner bikes for people to borrow, we do also sell these bikes if someone is interested. They all range from $175-$200. 2- Powers Bike Shop, a BMX exclusive bike shop is just 3 miles from the track. He has everything from entry level complete bikes, to full blown custom bikes and all the gear: helmets, pants, jersey, gloves, etc. If you need it for BMX, Chad at Powers Bike Shop has it. 2 – Rocket BMX is a local race team and online/mobile bike shop. They carry a selection of new and used bikes, parts and safety gear. Contact Bud Higgins budmanh@gmail.com for more details or see him at the track. 3 – There is also a large selection of online retailers for BMX Racing products. 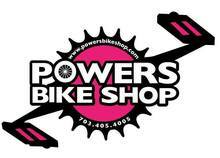 www.powersbikeshop.com has a full service website if you cant get to the store. Additonally www.jrbicycles.com and www.danscomp.com are online retailers who have large selection of bike parts and complete race bikes. 4 – Lastly you can look for used bikes online. eBay and Craigslist are popular but your best bet is the large number of used BMX bikes and parts groups on Facebook. Gary, our track operator, can help you connect with these groups and even help you look for and give you professional opinions on the products for sale. Most of our track loaner bikes come from these Facebook groups so they can be an excellent way to get a really great bike without breaking the bank!! Q - OK, I know where to find a bike, but what size bike do should I look for? A - While everyone races on either a 20" or 24" bike (the size refers to the dimension of the wheels), there are several size bikes. The range from something for kids under 5 to adults of all sizes. The sizes have name categories: Micro, Mini, Junior, Expert and Pro. The sizes generally refer to the length of the top tube which is indicative of the size of the frame overall. When buying a complete bike the size of other parts will be matched up with the frame size so a mini or a micro will have very short bars and cranks and a pro will have large bars and cranks. There are some tools on UltraBMX website that can help with the proper sizing CLICK HERE. This is not the final word in the proper size but a good starting point. Don't forget, we have loaner bikes of every size available at the track. Check with Gary and he can help you zero in on the right size bike for any size BMX'er! Q – Is there a racing series we can or are required to compete? A – First and foremost, BMX Racing is an “at will” sport. This means as a rider you can compete as much or as little as you like. You can also compete at any level event you like. Local races which we host each Sunday are the most basic level, there is no point series but your finish does earn district points which are accumulated throughout the entire racing season and are earned at every type of race in the US. State Series is a series of 5 qualifier races at each track in Virginia (Richmond BMX, VMP BMX, Hampton BMX, NOVA BMX and Winchester BMX). Riders must compete in at least 3 of the 5 qualifiers and the State Championship to qualify for a state ranking that is awarded based on age and skill level. Gold Cup Regional Championship is a regional series (East, Central and West) where riders compete in at least 2 of more than 30 in the Eastern US and the Gold Cup Championship. Based on overall results the top 3 in each class (age and skill level) are recognized. Then lastly there is the National series. One event each weekend somewhere in the US, the best 6 results along with the Grand Nationals Final determine the best riders in the whole country. Riders can compete in any one of these series and can race one event or as many as they can possibly attend, it is up to the rider and their families to decide.